The HQT is an innovative tool for measuring impacts to wildlife habitat and benefits created by restoration projects. The key to the tool’s effectiveness is in its ability to account for both habitat quantity and quality. Because we all know that not all acres are created equal. The Swainson’s hawk HQT measures both habitat quantity and quality, with habitat quality based on three attributes: nesting habitat, foraging habitat, and suitability of habitat within the landscape. These habitat attributes are scored, weighted and combined into a single overall habitat quality score that reflects consideration of both the project area (Elliott Ranch) and the surrounding landscape. Improved quantification that better accounts for habitat quality can ensure better outcomes per dollar invested. That way taxpayers can rest assured knowing that dollars are being spent most effectively on this restoration project. The habitat quantification tool can also be applied to private investments to ensure better outcomes through habitat exchanges and other conservation and mitigation programs. 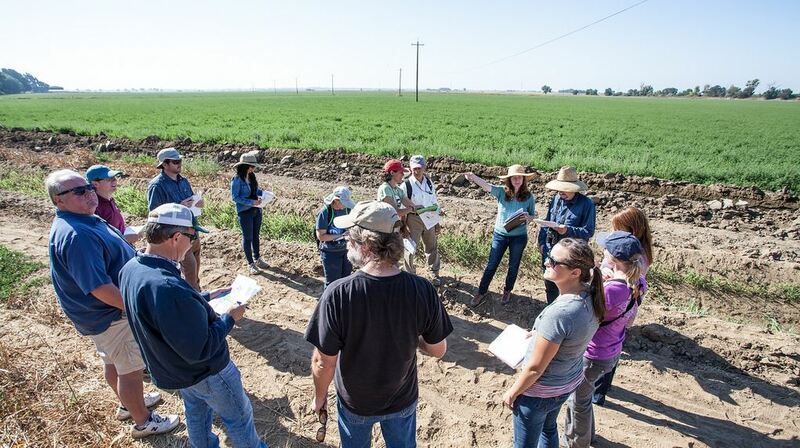 The Central Valley Habitat Exchange is an emerging market for habitat restoration that promotes, monitors and assists in the exchange of habitat credits using the HQT. America’s private lands – namely farms and ranches – provide the greatest potential for conserving and managing habitat for species like the Swainson’s hawk. Improved accounting tools can help demonstrate the value of habitat on working lands and target areas with the greatest restoration potential. This is precisely the case for Elliott Ranch, where the HQT is being used to target the best opportunities for improving Swainson’s hawk habitat. 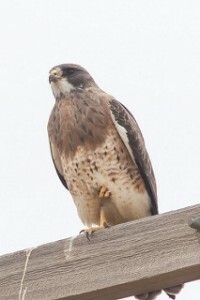 But it’s not just the Swainson’s hawk that stands to benefit from this grant. The ranch will be able to meet its conservation goals while also keeping the land in productive agriculture, resulting in a positive impact on the local agriculture economy. In addition, the Yolo Habitat Conservancy, a partner in the project, will benefit by testing out how they can use the HQT for future restoration or landowner incentive programs as part of their draft HCP/NCCP. There will also be lessons learned from this site’s application of the HQT that will be incorporated into a multi-species tool to assess the value of a single property for a variety of species. The species criteria currently built into the multi-species HQT include riparian songbirds, giant garter snake and Chinook salmon. We hope to add criteria for monarch butterfly habitat this year as well. 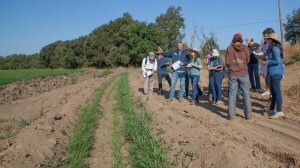 Through these examples, the state of California, EDF and various other partners are demonstrating how public funds can use habitat accounting tools to better target restoration dollars to those restoration projects with the highest environmental return. 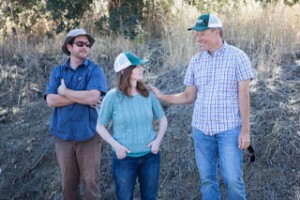 When implemented at scale, these types of applications will help drive public and private investments towards habitat projects that keep farms and ranches operating, while also potentially providing landowners with an additional revenue stream for contributing to the recovery of at-risk species. My colleagues and I look forward to expanding conservation and mitigation opportunities to private landowners throughout the Central Valley of California and beyond. This entry was posted in ecosystems, Habitat Exchange, western water, Wildlife Protection and tagged Ann Hayden, california, central valley, central valley habitat exchange, conservation, Dan Kaiser, Delta Conservancy, Elliott Ranch, environmental defense fund, habitat exchange, habitat quantification tool, HQT, Proposition 1, Swainson's hawk, water, water bond. Bookmark the permalink. Both comments and trackbacks are currently closed.